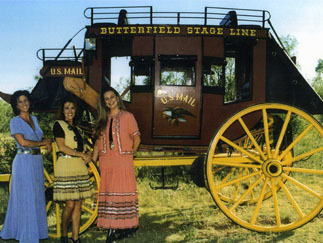 This stagecoach was originally found in a Lincoln County, New Mexico museum. It was purchased from an individual and then we restored it. It was then sold to a collector in Billings, Montana. 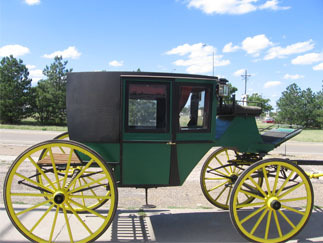 This coach was used in Yellowstone National Park for many years. A gentleman purchased it in Colorado Springs, Colorado. He asked us to completely restore it. Today it resides in a museum in Colorado Springs. This Hitch Wagon belongs to Jim Sherley of Spearman, Texas. 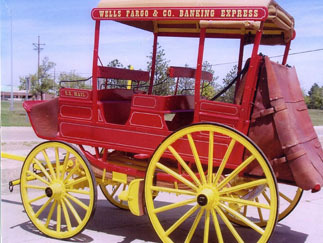 It was orginally purchased in Beardsford, South Dakota and was restored by us. 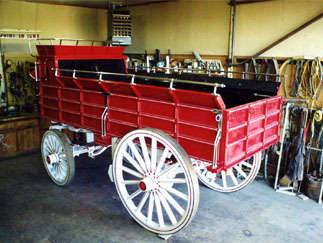 This wagon also has the distinction of being driven in the Presidential Innauguration Parade for the second term of George Bush. We purchaed this hearse in St. Joseph, Missouri. 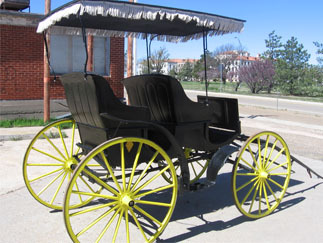 It was restored and sold to Cox Funeral Home in Amarillo, Texas. 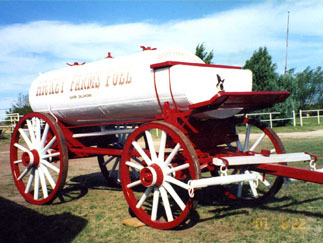 This Tank wagon belongs to Lynn Hickey of Sayre, Oklahoma. We restored it in 2001. 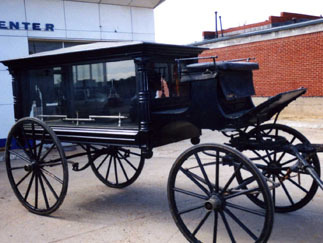 This Hearse was restored for a funeral home in Sayre, Oklahoma. It now resides in a museum in Sayre. This Surrey was purchased in Waverly, Iowa. We restored it and it was sold to a customer in Dallas, Texas. 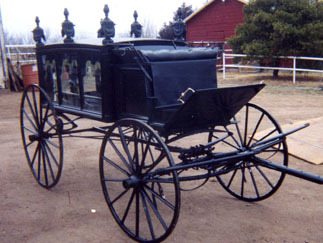 This carriage was used for many years in Central Park, New York City, New York. It was sold to a gentleman in El Paso, Texas who brought it to Amarillo. We then purchased it and spent four months restoring it to its original condition. We then took it to a carriage auction in Washington, Indiana where it was sold.